Antifreeze can pollute groundwater, surface water and drinking water supplies if dumped, spilled or leaked, and is a serious health hazard to humans or animals if ingested. Antifreeze is made up of ethylene glycol that is a poisonous colorless, sweet-tasting chemical that causes nerve damage if swallowed. Antifreeze with propylene glycol is less toxic. While in an engine, antifreeze can become contaminated with lead or fuel to the point where it may need to be managed as a hazardous waste. Antifreeze is one of the automotive waste that must have a hazardous waste identification made by laboratory testing before determining a disposal method. The Environmental Protection Agency's (EPA) administers and enforces federal hazardous waste management requirements (40 CFR Parts 260-279). In most states the state agency enforces the rules. 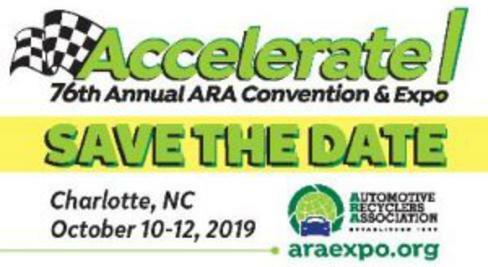 Those rules, known as the Resource Conservation and Recovery Act or RCRA, require potentially hazardous antifreeze to undergo a hazardous waste determination using the Toxicity Characteristic Leaching Procedure or TCLP analysis at a qualified laboratory to make the determination. The appropriate testing parameters are the eight (8) heavy metals and the common Volatile Organic Compounds (VOCs) using TCLP analysis that includes using graphite furnace methodology by request. Download the testing parameters here. If antifreeze is determined to be a hazardous waste, the generator must manage it according to the hazardous waste rules. Listed below are the proper management requirements or see the ECAR Hazardous Waste Fact Sheet for more detailed information. Label all containers in accordance with the hazardous waste rules. Remember to clearly mark the words "HAZARDOUS WASTE - ANTIFREEZE." Keep storage containers closed to prevent evaporation and spills. Use only permitted waste management companies that have obtained an EPA identification number to transport waste antifreeze off site. Keep a copy of the laboratory test results and manifests for off-site disposal on file for three years. If the antifreeze is non-hazardous or if the antifreeze is removed and reused as antifreeze (therefore not a waste) then "Used Antifreeze" can be reused or recycled either on-site or off-site. You may recycle antifreeze on-site by purchasing recycling equipment, contract with an on-site mobile recycling service that recycles antifreeze, or contract with a hauler that recycles the antifreeze off-site. If recycling off-site, a hazardous waste determination must be made and the waste must be managed accordingly. Remember, the filters and sludge that are generated during the recycling process may be hazardous wastes. If you contract with an outside company that recycles used antifreeze off-site, that company will be responsible for the hazardous waste generated during the recycling process. An inspector may check the facility for compliance with environmental regulations. Conducting a "self-audit" will identify and correct problems before they result in penalties. Use the following list to audit your waste /used antifreeze storage areas and management procedures. 1. Is used antifreeze stored in drums, tanks or other containers that are in good condition? Open containers, and rusting or leaking containers cannot be used for antifreeze storage. 2. 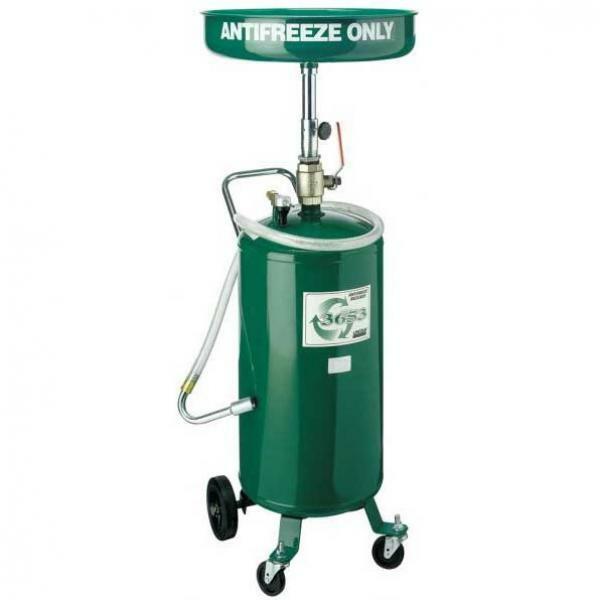 Are antifreeze storage containers and tanks properly labeled? or reused, should be marked "Used Antifreeze." 3. Is the area around the used antifreeze storage containers free of spills and leaks? reported to the state agency. 4. Is used antifreeze transported to a recovery facility by a certified transporter? property by a certified transporter. 5. Is oil, solvent or other materials mixed with used antifreeze? used antifreeze is not mixed with used oil, solvents and other materials. Most regulations tell you what you have to do to be in compliance, but they don't explain how to do it. That's where "best management practices" come into play. BMPs are proven methods that help you to get into compliance and stay there. The following BMPs are recommended for used antifreeze storage areas and management procedures. Drain antifreeze from radiators and heater cores as soon as possible. ​Keep antifreeze storage containers closed at all times. 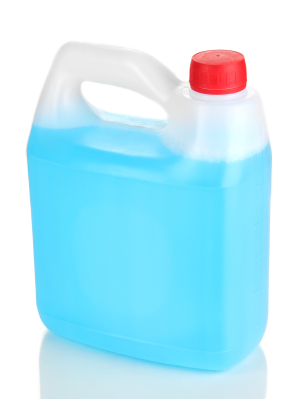 Keep waste antifreeze free from cross-contamination with other wastes, such as used oil, fuels and solvent. Wear eye protection, clothing that covers exposed skin and rubber gloves when transferring antifreeze. Pour slowly and carefully to avoid splashing. 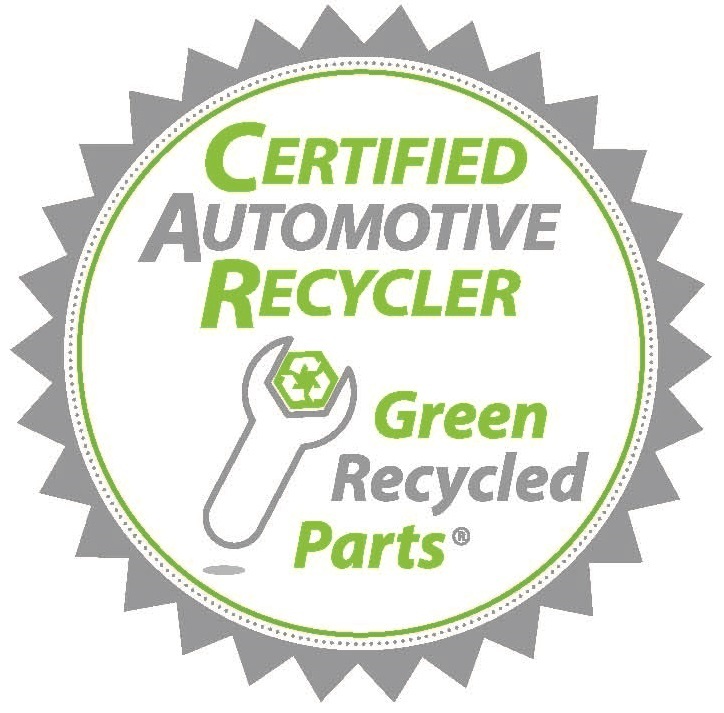 Determine if the antifreeze is waste fluid or reusable product that can be reused or recycled. 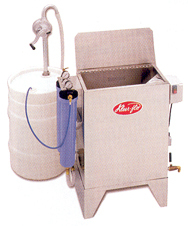 Recycle by reuse, distillation, filtration or ion exchange. Recycling can be done on-site or off-site by an antifreeze recycling service. Keep waste antifreeze separate from USED antifreeze destine for reuse or recycling in two separate, closed containers: one for antifreeze that cannot be reused marked "Waste Antifreeze," and one marked "Used Antifreeze." Do not dispose of antifreeze down storm drains, in septic tanks, dry wells or on bare ground. Keep any records relating to waste/used antifreeze for at least 3 years. This includes receipts for used antifreeze shipments and any laboratory results.